Anonymous, 22 Apr 2016Are you sure this phone drain the battery 20%/hour¿¿ mine drain 10-12%/hour. a... moreI managed to get a full refund and now got an HTC one mini 2 -- outstanding (then again ANY phone would be outstanding compared to S5 mini). If the S5 was fully charged, while off and left off after an hour the phone would be warm and down to around 80%, when on but not in use it drained at the same speed and got quite hot. I made a 15 minute phone call the phone got so hot that I had to hang up and pull the battery out for fear it would explode......remember the service center said the phone was fine! Hi.I've tested many fonts on s5 mini android 5.1.1 but none of them worked. how can I get font for this mini? Trini rebel, 23 Apr 2016It's a very decent phone but this phone is not water proofwhat did you mean? 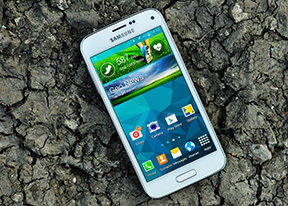 Aprix, 17 Apr 2016Hello ppl, Im just buying a new phone, to buy Samsung S5 mini or Samsung A5 2015?Forgot to mention,the more recent phone will be able to bump up to a more updated version of Android in the future. And,have you considered the J5? The Mini is older and has a vastly inferior camera to the A5 (at least on specs). Mini has slightly more CPU but slightly less RAM. And comparable batts BUT: I prefer removable battery. I can use and abuse (games,er...,games) my batt and swop it out when it gets short on life. Also,(slightly) smaller Mini fits perfectly in my hand. Overall,however,I would go with the more recent phone though. Especially if you use for two years,then swop on contract. IF you buy for the long-run (I.E. : Not paying Soo much more over time for the handset on contract),get removable batt phones. Good phone, just received update to Android 5.1.1 Lollipop, i have a G800F for Hungarian market. Can someone please tell me if any of you all had any problem with charging this phone. 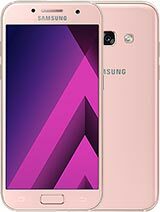 i have had this phone since it was launched and i am now having problems with charging it. 72 h endurance time?????? really ??? and now it is 26hours endurance time and i should recharge it every 7-8 hours!!! 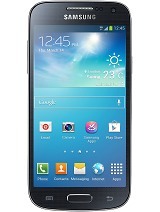 i suggest you that DO NOT BUY this phone!!! i will change my phone soon!! 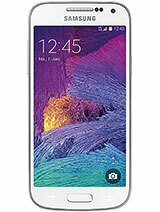 Burak, 22 Mar 2016All you are saying about s5 mini are crap and lyes I got this phone since 01.11.2014 and stil... moreAre you a Samsung director/share holder? Aprix, 17 Apr 2016Hello ppl, Im just buying a new phone, to buy Samsung S5 mini or Samsung A5 2015?DON'T buy a Samsung of any kind! 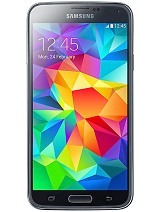 I have a 27 day old - bought brand new factory sealed, unbranded S5 mini. according to Samsung service centre the phone is 100% AOK meaning that overheating a battery drain is normal. 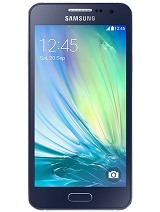 Hello ppl, Im just buying a new phone, to buy Samsung S5 mini or Samsung A5 2015? 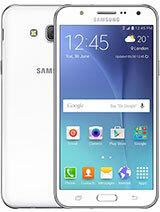 Will Samsung realese Android 6 to this phone?? Worse phone I've ever had . Wouldn't buy another android phone if you paid me. Crashes more times than a dodgem car ! I will be going back to apple . Anonymous, 13 Feb 2016Installed latest software updates saying its complete but still saying updating contacts and b... moreYou must be to do recovery factory (from setting menu) and end of problem...5.1.1 clean and working good!! (and phone contacts is solved) you must be install all apps again. And back up your files before.